On Sept. 23, 1960, John Steinbeck and his faithful French-born poodle Charley left Sag Harbor, N.Y., and began the road trip that would become “Travels With Charley in Search of America,” one of the best-selling nonfiction books of 1962. 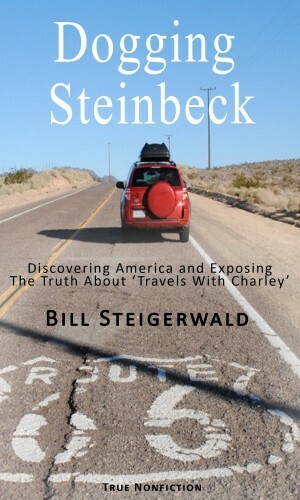 As I discovered in 2010, Steinbeck’s beloved, iconic road book, which turned 50 on July 27, is not a work of nonfiction. It is a highly fictionalized and dishonest account of his actual trip, who he traveled with and what he really thought about the America he found. Considering the true nature of Steinbeck’s trip, that’s a disingenuous and overly generous description of a multi-flawed book that never deserved its nonfiction designation and has been outed as a 50-year-old literary fraud. The company’s PR department in New York declined to comment. Penguin, which for obvious reasons is not interested in helping me find more smoking guns, also told me that the company does not have Vikings’ old “Travels With Charley” files “on site” and that they are probably with Steinbeck’s estate. Perhaps future scholars will want to study them. You can read about how I stumbled upon the truth about Steinbeck’s last major work in “Sorry, Charley” in the Post-Gazette or the April 2011 issue of Reason magazine. At Reason.com you also can read “Whitewashing John Steinbeck,” which for the first time publicly revealed a highly X-rated paragraph of filthy language that was cut from the original manuscript of “Charley” in 1962. 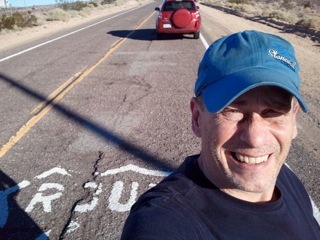 Meanwhile, if you can read Dutch, you can order Geert Mak’s new book “Traveling Without John in Search of America.” Mak, a well-known journalist and author in the Netherlands, did what I did and carefully repeated Steinbeck’s trip in the fall of 2010. Mak did a lot of the same research I did and his nearly 600-page book includes much of what I discovered about Steinbeck’s real trip and how Steinbeck’s original manuscript was edited to hide the fact that he traveled in luxury and did not travel alone. On September 23, 1960 left the legendary writer John Steinbeck and his poodle Charley for an expedition across the American continent. He wanted his country and his countrymen again know. Exactly fifty years later, on the hour, was Geert Mak again for the old house of Steinbeck. It was the beginning of a renewed inspection tour in the footsteps of Charley and John, but now with the eyes of 2010. What is the past half century in American cities and towns changed? Where is Main Street USA go? Which dreams chased the Americans over the centuries their ideals? What is it ended? What remains of that “city on the hill”, the Promised Land which was once the world looked? And above all, what we have together, America and Europe in the 21st century? Geert Mak avoided, like John Steinbeck, the beaten path. He drove thousands of miles through the potato fields of Maine and the infinity of the Midwest, sat day after day at the table with farmers, laborers, fishermen and schoolmasters, met with shiny suburbs and boarded-up village shops, searched, again and again, to the stories of this country which nobody ever gets finished.